CSSChopper has appeared with a valuable update in its “My Chopps” section. It is specially designed to present an exceptional deal to our existing clients. Presently, clients are using ‘My Chopps’ section to know about how to make custom order, project order history, payment details of order submitted, report a problem section through which they can send email to concerned department. Every time, our clients offer value to our business by assigning more and more projects. It is true to say that their worthy assignments have been the actual source for us to enjoy such a flourishing business. 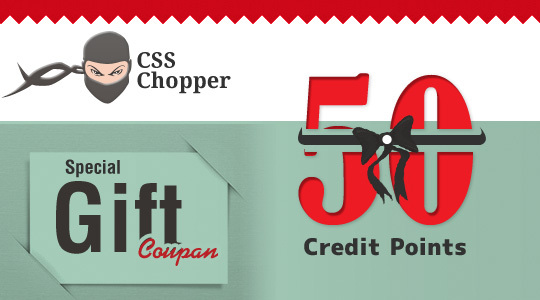 Now, it is the CSSChopper’s turn to render value to the account of its esteemed clients. Clients make us beneficial in terms of cost and thus we have brought astonishing Credit Point System. Since, after launch in last night, our all existing clients has been already gifted with 50 Credit Points. Credit Points are the stuffs that entitled client to avail discount on projects you ordered. However, as you place an order you will earn some credit point as per project value, which can be further reimbursed with entire sorts of projects you will order in future. In this way, you can avail lucrative discount offer on each and every project for ever. 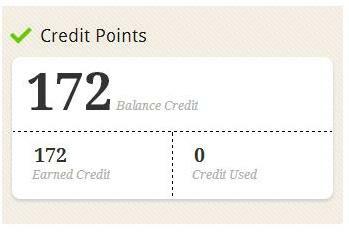 We have integrated a credit point system monitor that can be viewed in your account after logging in. So, never forget to check earned, used and balance credit point after placing an order. Now, its turns to redeem the earned Credit Points which is very affable and expedient. Generally, it can be accomplished in two ways. Simply, go to general order page where you will be asked to feed the credit point and click ‘Apply Now’. 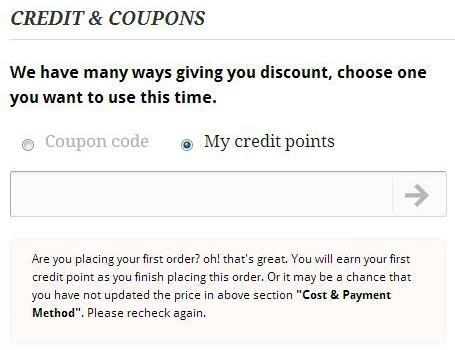 Secondly, you can also reimbursed the credit points through custom order page incorporated under ‘My Chopps’ section. 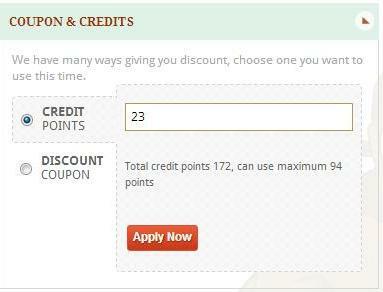 It is also identical to general order, simply input the number of earned credit points and get the discount. Undoubtedly, this can be called our first initiation to make our clients feel special. Surely, we would keep adding such alluring deals to deepen our friendly-bonding with our honored clients in the future as well.